To most New Zealanders, if you mention World War One they think of Gallipolli where 2700 NZ soldiers died, some will mention France, where another 2000 NZ soldiers died. But most do not realize that the New Zealand Division spent a year of this war in Flanders Fields in Belgium, between 1917 and 1918 where another 5000 New Zealanders died. So why should the battles leading up to, including and directly after the Battle of Passchendaele, be commemorated? 5000 from a population of 1.1 million, in today’s terms, that would be 20,000 of our population. The enormous cost of the war to the NZ people was way too high – our country sent the highest number of soldiers per capita in WW1 even though they came ‘From the Uttermost ends of the Earth’ and endured one of the highest number of casualties of all the countries involved. 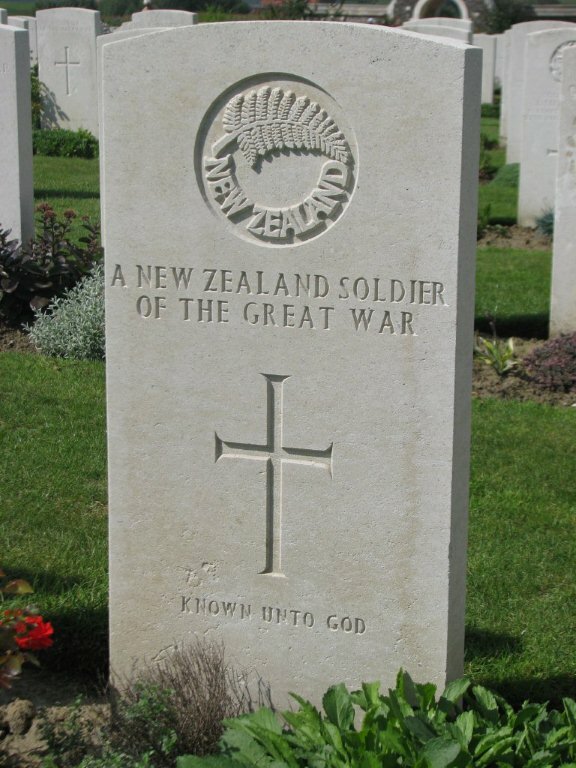 Over 4600 New Zealand servicemen still lie in the Fields of Flanders, they are buried or commemorated in around 80 cemeteries and memorials in found throughout what was known during World War One as the Ypres Salient (a Salient means ‘a bulge in the frontline’). If the words ‘Lest we Forget” are to have any meaning, the names of the fallen, and the battles in which they fell, should be remembered. This document is a tribute to the New Zealanders who never came home and still lie in the Flanders soil, whose sacrifice, with that of others in the Great War, helped preserve the rights and freedoms we now take for granted. Since 1917, Passchendaele has been a byword for the horror of the Great War. The name conjures images of a shattered landscape of mud, shell craters and barbed wire, and of helpless soldiers mown down by machine-guns and artillery. The capture of the Belgian village of Passchendaele (Passendale), near Ypres (Ieper) in Flanders, became an objective that cost the lives of thousands of people, including many New Zealanders. The ridge leading to the village was the site of the worst disaster, in terms of lives lost, in New Zealand’s history since 1840. After the withdrawal at Gallipolli, the New Zealand Division’s first battle on the Western Front was in France on the Somme River in 1916. Between September 15th and being relieved on October 4th they had advanced 3 kilometres and captured eight kilometres of enemy frontline, but to the cost of 7048 casualties, of whom 1500 were killed. The New Zealand Division was then moved north to Ypres in BELGIUM and was heavily involved in the 3rd Battle of Ypres, commonly known as the Passchendaele Offensive. The battle was fought from July to November 1917 and was divided up into 8 separate battles after the war to recognize the separate feats and dates of each major push. Before the Passchendaele Offensive could be launched, one important preliminary step was required – the removal of the Germans from the Messines Ridge to the south-east of Passchendaele. Unless this was done, the enemy would be able to observe preparations for the major offensive coming up to Ypres from the south. General Plummer was in charge of the day to day control of the battle and he planned a bite-and-hold operation – an attack with strictly limited objectives. The New Zealand Division was among those selected for the assault on the ridge and the village of Messines (Mesen). The carefully prepared attack was a striking success. 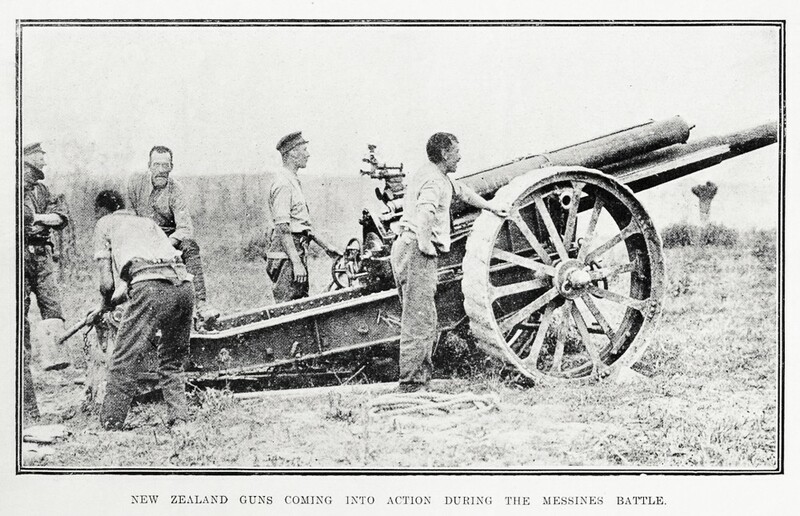 NEW ZEALAND GUNS COMING INTO ACTION DURING THE MESSINES BATTLE. It began at 3.10 a.m. on June 7th 1917 with the explosion of huge mines that had been placed under the German lines by hard-working tunnellers….you may have seen the film ‘Below Hill 60’ which is a story about the tunnellers of one of these mines just a few kilometres away from Messines. Everything went to schedule, and by 7 a.m. the New Zealanders had cleared Messines of the enemy. 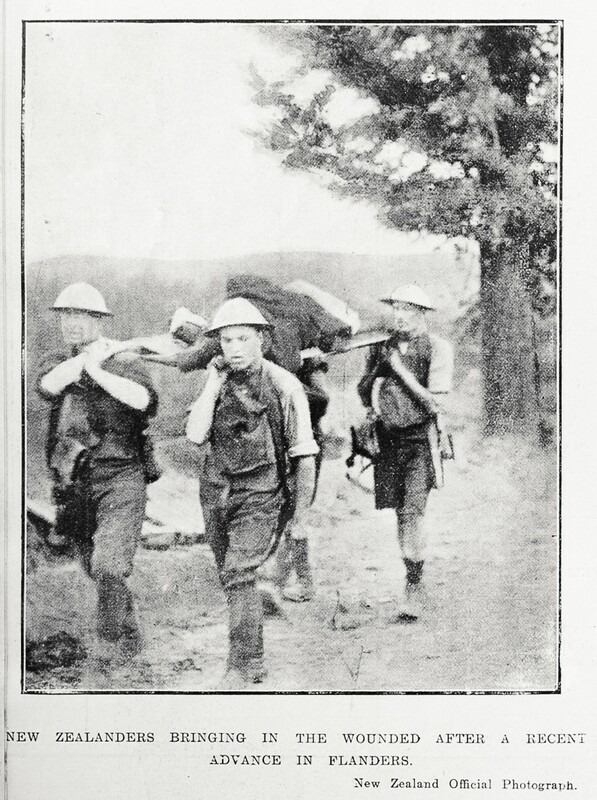 The capture of Messines was achieved with relatively few casualties. However, as the day wore on, German guns began to bombard the newly captured areas with increasing ferocity and many New Zealanders were killed and the ‘Battle of Messines’ lasted another week. By the time the New Zealand Division was relieved we had suffered the loss of 700 dead and more than 3000 wounded. Following the successful attack on Messines, the Germans launched a number of counter-attacks, only to lose more ground. At the end of July 1917 the New Zealand 1st Brigade were involved in battles at Warneton and the crossroads known as La Basseville, a few kilometres south-west of Messines. The main objective of these attacks was to create a decoy from the preparations taking place near Passchendaele. 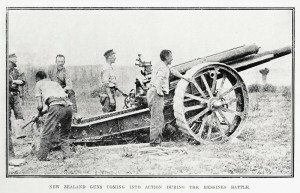 The New Zealanders suffered serious casualties during these actions. The assault on Passchendaele was part of a vast Allied offensive launched on July 31st 1917. British Commander-in-Chief Sir Douglas Haig hoped to keep the pressure on the Germans after the great struggle on the Somme the previous year. Haig’s plan involved seizing the Pilkem Ridge and the Geluveld–Passchendaele plateau to open the way for a drive on the town of Roulers. Once this important transport hub was in Allied hands, the British would drive north to the coast to neutralize the German U-boat facilities there. The British artillery had pounded the German positions with 4.2 million shellsin the two weeks before the Battle of Passchendaele. Every tree, house, church and street had been blown to pieces so that the entire terrain between Ypres and Zonnebeke had been turned into a pitiless cratered landscape with head high craters and mud so thick that soldiers just disappeared, never to be found again. 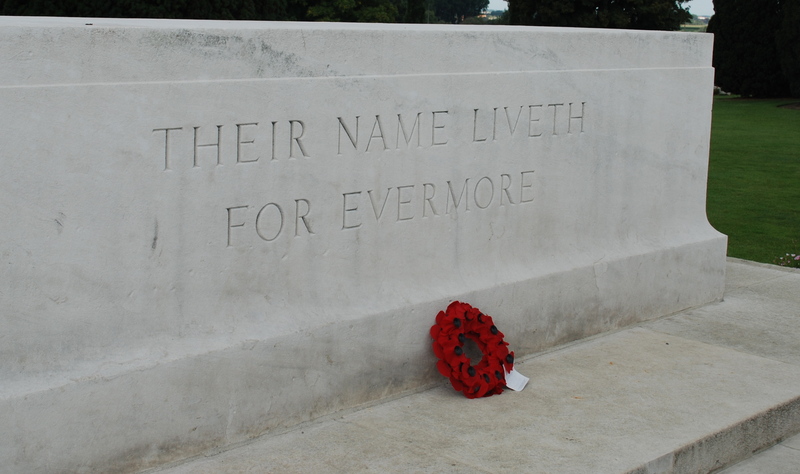 Which helps to explain why there are 55,000 names of soldiers who have no known grave on the Menin Gate Memorial and another 35,000 names are on the Tyne Cot Memorial at Passchendaele. The battle for Passchendaele reached a climax in early October when a successful assault on Gravenstafel Spur on the 4th was followed by a devastating defeat at Bellevue Spur on the 12th. The New Zealand Division was called upon to fight in the Battle of Broadseinde on October 4th 1917 in muddy conditions – the Australians were sent up the Broodseinde Ridge and the New Zealanders objective was Gravenstafel Spur, the first of 2 small rises leading to the Passchendaele Ridge. The attack cost the New Zealand division 1700 casualties and more than 450 lives, including that of the former All Black captain Dave Gallaher. The New Zealand Division fought alongside 8 British and 3 Australian Divisions’ along an 8 mile front. Although successful, the Battle of Broadseinde was not without cost. There were around 20,000 casualties on the Allied side and a similar number of Germans also were killed, wounded or taken prisoner. However our BLACKEST DAY in New Zealand’s military history came on the October 12th 1917 during the Battle for Bellevue Spur, the second of the small rises leading to the Passchendaele Ridge, which also marked the beginning of the 1st Battle of Passchendaele itself. The continuing rain had made the entire area an almost impassable quagmire. The toll was horrendous, 846 lost their lives on just one day on Bellevue Spur in what was seen as the last obstacle to the capture of the village of Passchendaele. Tragically it took 2 and a half days to clear the wounded from the battlefield and therefore, many more were to die as a direct result of fighting on this day. Another 2000 were wounded in action. You may have seen Robyn Malcolm’s documentary ‘Our Lost War” about her Great Uncle who died during the initial attack on Bellevue Spur, October 12th. By the time they finished counting the missing, there were more than a 117 officers and 3,179 New Zealand casualties on Bellevue Spur. Because of the mud and head-high shell holes, it was impossible even to rescue the badly wounded soldiers lying in the mud between the lines. To put that into perspective, it is almost 30% the number of deaths in just one day at Passchendaele compared to the total of 2,721 NZ deaths during the whole of the Gallipoli Campaign over a period of 9 months. 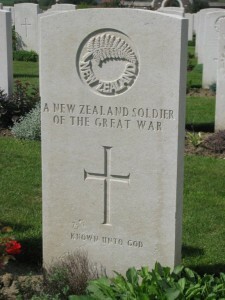 Because of this, October 12th should be commemorated by all New Zealanders – Lest we Forget. The New Zealand Division’s involvement in the Passchendaele Offensive finally came to an end on October 18th when it was relieved by Canadian troops who went on to finally capture the village of Passchendaele and Hill 52 behind in the 2nd Battle of Passchendaele which lasted from October 26th to November 10th. The whole ‘3rd Battle of Ypres’ lasted 100 days and cost 245,000 casualties to the British Expeditionary Forces. Many of those that died during the Passchendaele Offensive are buried or commemorated at Tyne Cot Cemeteryat the village of Passchendaele. Within its flint walls are the graves of almost 12,000. The entire rear of the cemetery is occupied by a curved Memorial to the Missing, commemorating a further 35,000 soldiers who have no known graves. It is the largest Commonwealth Cemetery on the Western Front. rear wall there are another 1176 New Zealanders commemorated who have no known grave. And these numbers do not include the names of those who died in field dressing stations and hospitals behind the lines, well after the date of being wounded! 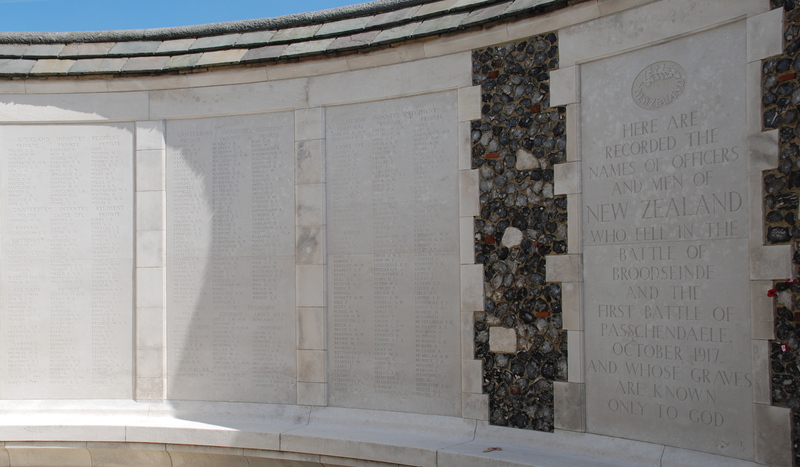 In addition to Tyne Cot, there are another two New Zealand Memorials to the Missing in the immediate vicinity – the Messines Memorial and at Buttes Cemetery, Polygon Wood which is close to Zonnebeke. A ‘must-see’ for any New Zealander travelling through Europe is also the Passchendaele Memorial Museum at Zonnebeke. 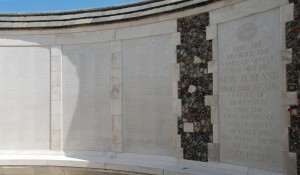 The New Zealand names on the different Memorials to the Missing are the result of the New Zealand Government decision at the time to honour the country’s dead close to the point where they fell. The New Zealanders were not done with Belgium though, and they continued to operate in the Ypres area until February 1918. They took part in another attack at nearby Polderhoek from December 3rd until the 6th, 1917. The objective was to capture the dominating Polderhoek Spur to prevent the Germans from threatening the New Zealanders’ trenches to the north. 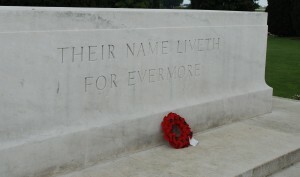 About 80 NZ soldiers lost their lives and hundreds more were wounded, the missing are commemorated on the memorial at Polygon Wood. The futility of the attack was underscored nine days later, after the New Zealanders had withdrawn from the line, when the Germans regained all the ground they had lost on December 3rd. The ‘battle’ ended on December 6th but did not stop fully as the 2 sides shot back and forth. In total there were 129 killed from the NZ 1st Battalion during this ‘quiet’ period throughout December, don’t forget that soldiers were under fire daily, although no ‘battle’ is recorded! The Victoria Cross was awarded to Private H.J. Nicholas for his exemplary conduct during the assault at Polderhoek. He died almost a year later at Le Quesnoy in France, 19 days before Armistice. Other VC recipients from the Belgium Campaign are Samuel Frickleton on June 7th 1917 at Messines when he single-handedly attacked two machine-gun posts, killing their crews. And Leslie Andrew who also captured 2 machine-guns on July 31st 1917 at La Basseville. In early 1918 the Germans launched their great Spring Offensive so the New Zealand Division was rushed back south to Amiens in France. And their last action was to capture the ancient fortress town of Le Quesnoy in November 1918. The cost in lives for two and a half years on the Western Front in Belgium and France was appalling. Altogether some 13,250 New Zealanders died of wounds or sickness as a direct result of this campaign, including 50 as prisoners of war and more than 700 at home. Another 35,000 were wounded, and 414 prisoners of war were ultimately repatriated. The total casualties were close to 50,000, well over half the number of those who served on the Western Front. (103,000 troops and nurses signed up to go to war from a population of just over 1 million. There were 59521 (58%) casualties in total, including the dead, wounded, sickness and those that died in training or died as a result of their injuries within 5 years of returning home). In the years following 1917, New Zealanders remembered the sacrifice of Passchendaele and other battles in a variety of ways. Many returned servicemen suffered in silence, wracked by nightmares and lingering wounds. Families mourned lost loved ones in private and through public rituals. The most visible symbols were the hundreds of War Memorials erected by local communities across New Zealand. These became focal points of a shared sense of sadness and pride and surrogate tombs for those buried in faraway Belgium. We should remember the Battle of Passchendaele – a huge tragedy, as that battle in particular is the one that symbolises the futility and cost of war. As a ‘City of Peace’ Ypres is a city of remembrance, never forgetting the tremendous human cost of WWI to soldiers and civilians alike. Every night at 8pm they stop the traffic passing through the Menin Gate and play the Last Post, in memory of those who lost their lives in the Ypres Salient. As a tribute to the New Zealanders who still lie in the Flanders soil, whose sacrifice, with that of others in the Great War, helped preserve the rights and freedoms we now take for granted, we must remember them.